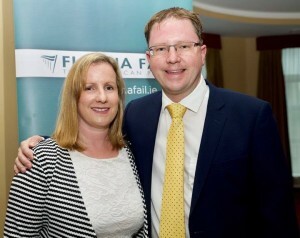 At the recent meeting of Naas Municipal District council, I asked for updates on the flood relief plans at Killeenmore. This follows from​ ​flooding of the Morell and Painstown rivers several times over the previous​ months​ and​ o​n a regular basis for the past several winters. This is a matter I’ve been raising for years now. 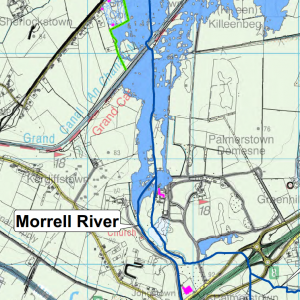 We need a comprehensive flood relief plan for Killeenmore and indeed all effected areas along the Morell river. Repeated flooding has gone on far too long now and residents are continuously distressed. The council responded to the matter saying it has submitted its report to the Office of Public Works. The report addresses the feasibility design and costs of such a flood relief plan for the area.​ ​​The council confirmed that a meeting is​ ​planned with​ ​the​ OPW in the next 3​ ​weeks​ ​to progress the matter. I asked the council to update local members at the February council meeting of Naas Municipal District. 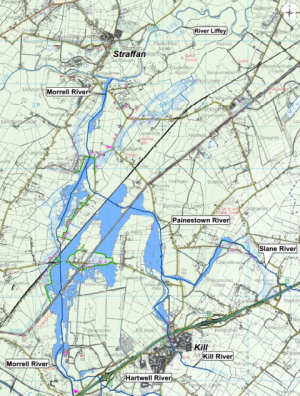 Everyone remembers when Sallins flooded in 2009 but whilst most people will recall the urban flooding at “The Waterways” in Sallins village, it gathered less media attention that rural townlands were flooding at the same time just a mile or two out the road. 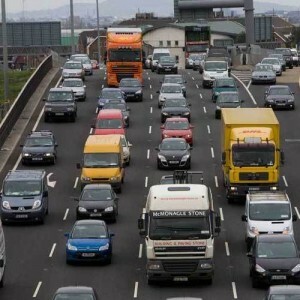 The areas of Killeenmore and Turnings were especially hit but also Castlewarden and unfortunately surface flooding on the N7 around there remains a familiar sight after a heavy rainfall. I was onsite with the residents during those floods back in 2009 and 2010 (see here) and have continued to liaise with the local committee since as a solution has evolved. Thankfully we are nearing the end of that journey and plans for a new flood relief scheme to mitigate all along the Morrell river basin were unveiled in the council offices last month. You can view the detailed designs at this link here and the council are accepting submissions until the end of November.